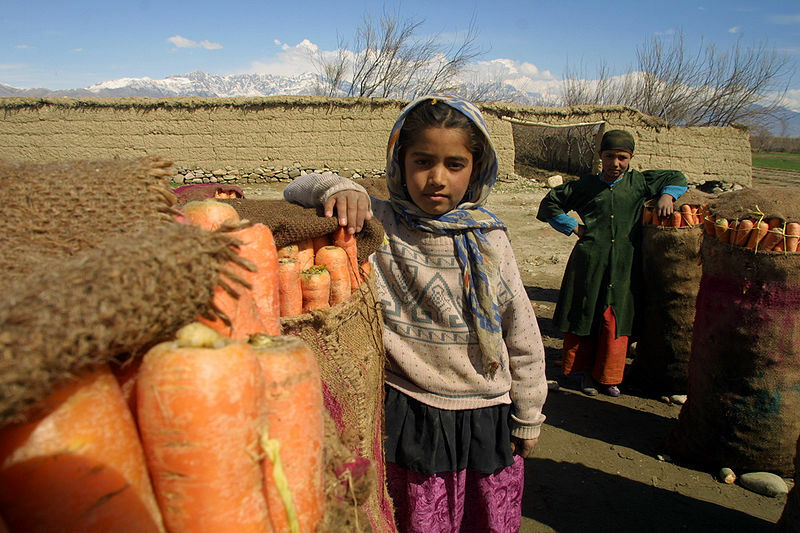 Habitat for carrots is mainly limited by temperature. While types of carrots can be found just about anywhere, Daucus carota var. sativus grows best in temperate zones. When grown outside of temperate zones cultivation techniques are needed in order to replicate cooler temperatures. Increased elevation is often used in subtropical areas to help reduce temperature and increase crop yields. Other factors in addition to temperature do contribute to the preferred habitat for Daucus carota var. sativus but temperature plays the largest role. Other factors that make up the habitat of Daucus carota var. sativus include soil, sun exposure, nutrition, and drainage. Almost any type of soil is suitable to grow Daucus carota var. sativus , but the plants tend to prefer loam. Loam is a type of soil that is a hybrid of sand and clay. In addition to loam, carrots require a moist, yet well drained soil. If the soil becomes wet conditions become favorable for fungi to grow and interactions, which are explained in the interaction section of this page, begin to develop. The nutrition content of the soil is also a factor in the growth of Daucus carota var. sativus. If soil is devoid of nutrient it is unlikely that carrots will thrive in the area. It is preferred that the soil has a relatively high content of organic material to provide adequate nutrients. Lastly, Daucus carota var. sativus prefers to be located where the plant can receive full sunlight. Full sunlight allows the plant to reach optimal growth levels. Daucus carota var. sativus is a plant developed from wild varieties for cultivation. 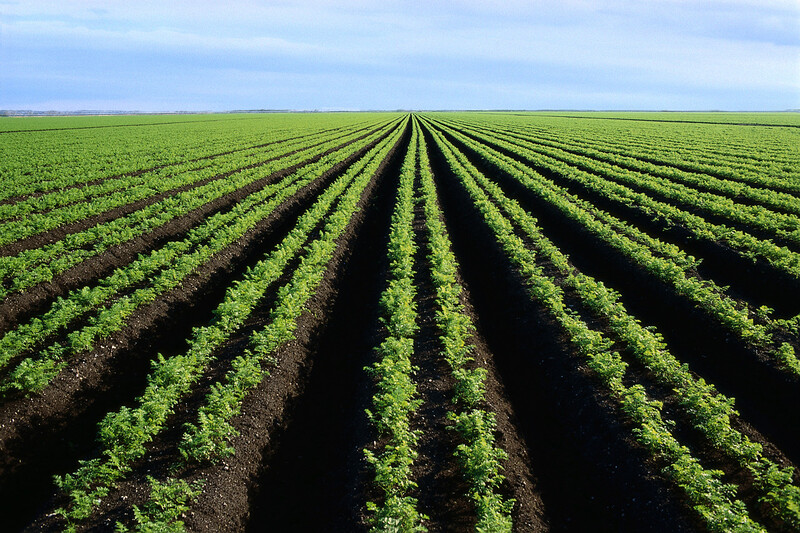 The conditions under which carrots are grown are highly monitored to ensure optimal growth. All species that occupy the same habitat are considered competition and measures are taken to eradicate them. 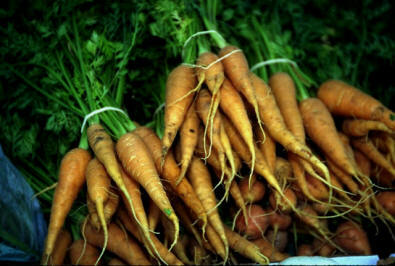 Major producers of carrots include China, The United States, and Russia. These three countries account for a large portion of the commercial cultivation. Daucus carota var. sativus creates its own food through a process called photosynthesis. Plants that produce their own food are called autotrophs and make up the base of the food web. The carrots placement at the base of the food web explains why it serves as a source of food for many of the organisms it interacts with. Photosynthesis is a complex process that Daucus carota var. sativus uses to create its own food. This process utilizes CO2 as a source of carbon to create sugars, which nourish the plant. The basic equation for this process is carbon dioxide + water + energy = sugar + oxygen + water. To learn about how carrots reproduce click here.